Biatain® Silicone Lite 33445 by Coloplast is a flexible and thin dressing to bend and move well at the joint to treat low exuding wounds such as ulcers, abrasions and donor sites that surround the elbow, foot or knee. 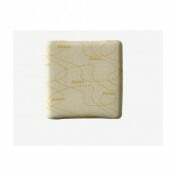 This 4 x 4 inch square dressing is very easy to apply and has a 3-piece film on back of the silicone adhesive to reduce the risk of damaging the adhesive and wasting the dressing during application. The soft silicone adhesive secures well to have staying power during movement but ensures minimal discomfort when dressing is removed. 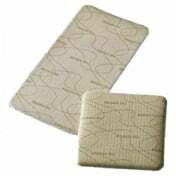 Biatain designed the three-dimensional polymer foam pad to conform to the wound bed adding to patient comfort during healing process. 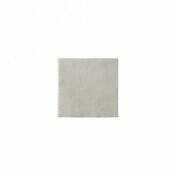 The polyurethane foam absorbs wound exudate and bacteria resulting in a moist wound environment needed for faster healing. 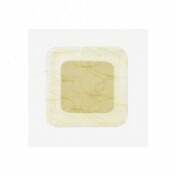 The top layer is also essential and prevents bacteria from entering as well as water so that the wound dressing can protect the wound for up to a week. Less wound dressing changes also means the wound is exposed less to outside contaminants an important characteristic to an effective wound dressing. 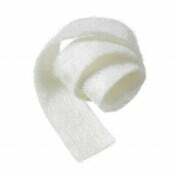 Biatain Silicone Foam dressing is a great option when treating a leg ulcer or pressure ulcer and other highly exuding wound.